Black and Red Female Jester, ideal for a Fairytale theme or a unique look this Halloween! 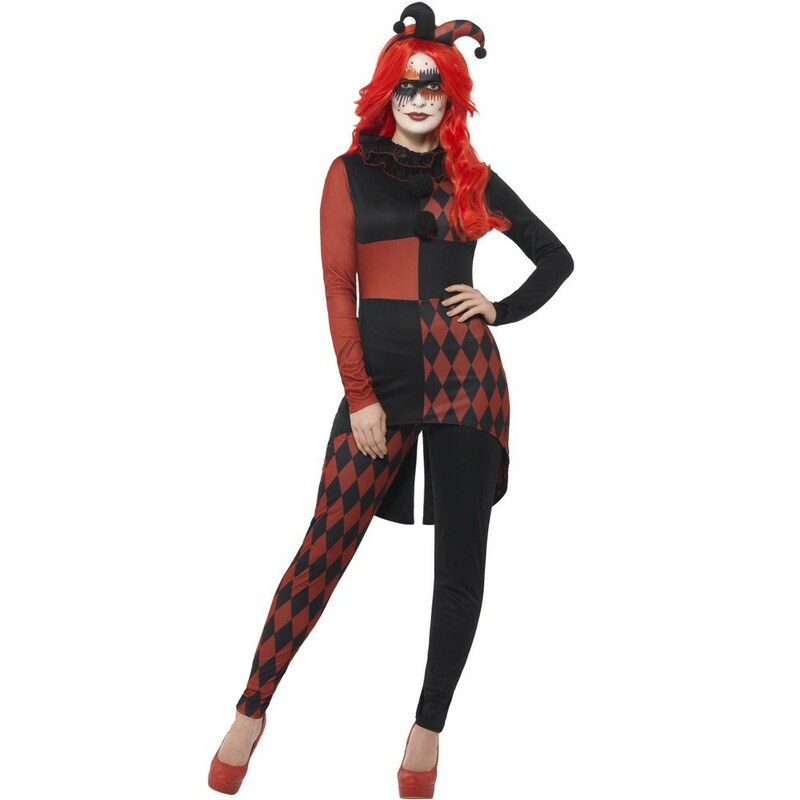 This great Female Jester outfit is perfect for your night out. 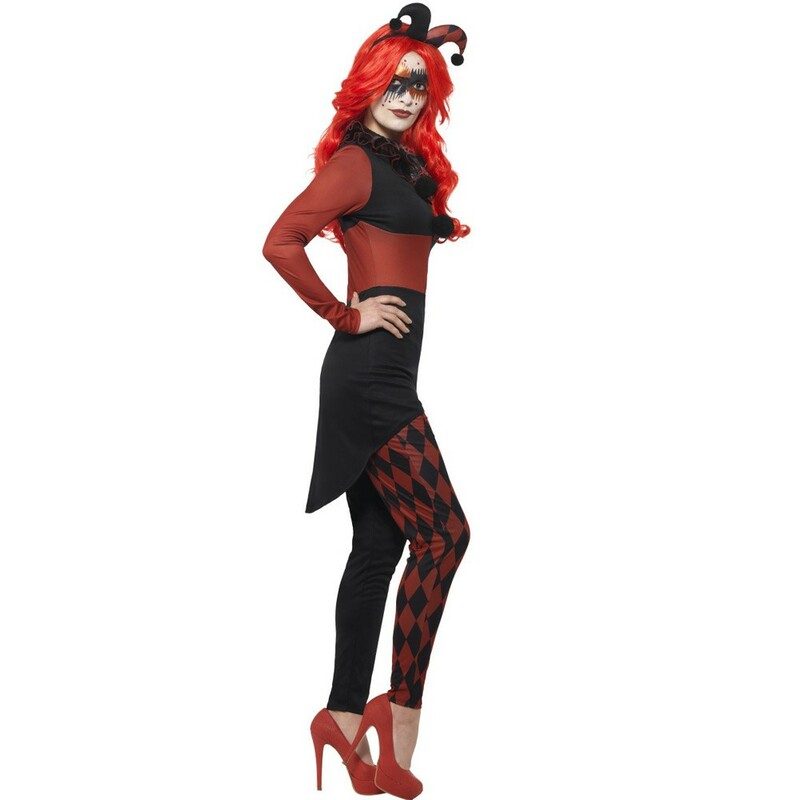 It’s seductive all in one design makes this Female Jester outfit stand out from the crowd. 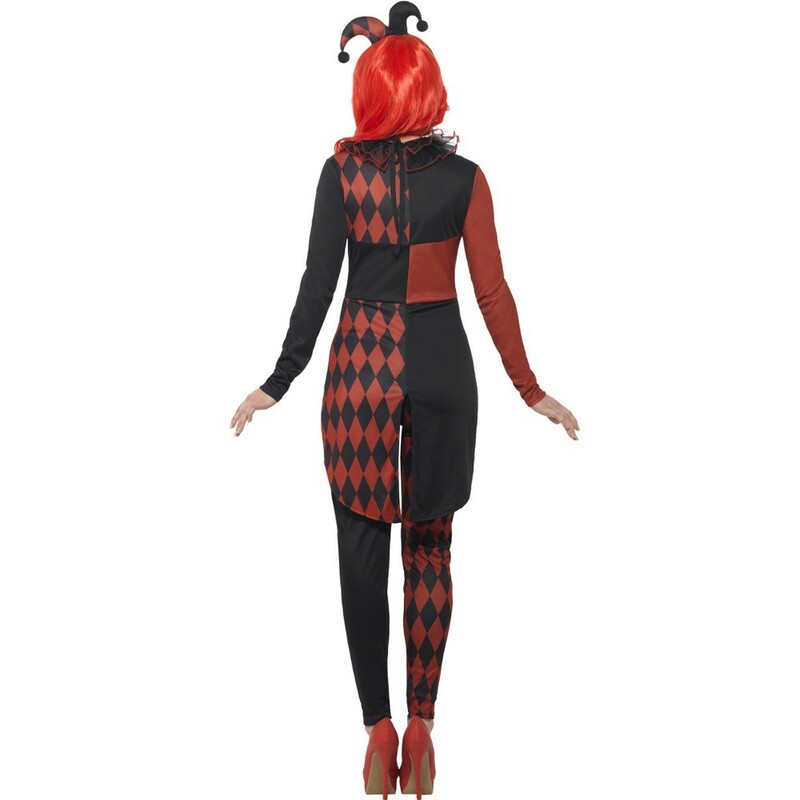 This Female Jester outfit in its red and black harlequin pattern will have you turning heads no matter where you’re going! You could be the Female Jester at a Masquerade ball or a Halloween event, whatever you choose you are sure to look good in this. A red and black jumpsuit, a neck ruffle and a hat on a headband.